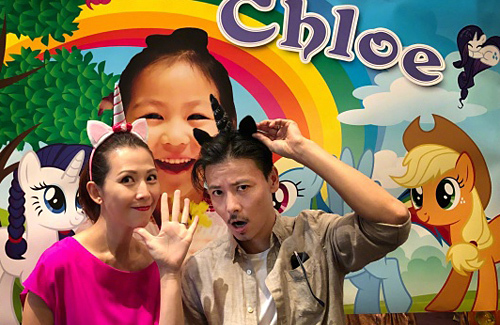 Ada Choi (蔡少芬) and Max Zhang (張晉) celebrated their daughter Chloe‘s 5th birthday with a My Little Pony party. 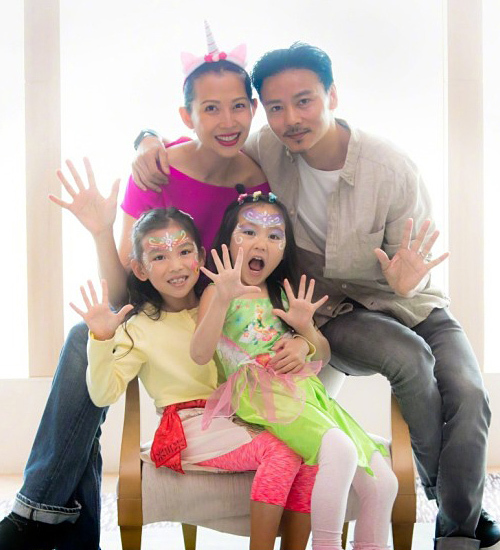 Ada and Max wore unicorn headbands, while their daughters had their face painted. 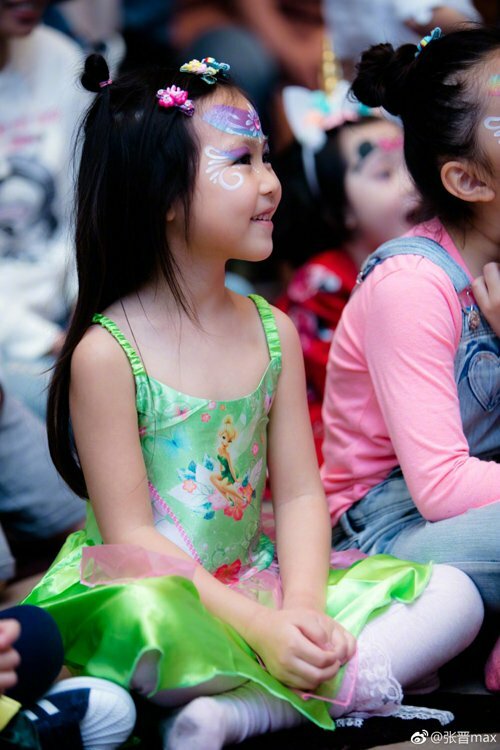 Max shared photos of the party on Wechat today. 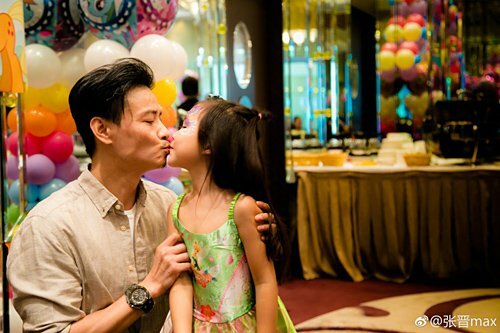 Both girls inherited mom’s beauty genes!